Leading SAFe 4.5 Edmonton Introduction One of Canada?s largest cities, Edmonton is known for its cultural and sites that celebrate the region?s frontier history. It is also a major retail centre and a hub for companies that are part of Canada?s energy industry. Enjoy a unique learning experience in this nerve centre of talent with KnowledgeHut?s Scaled Agile Framework training in Edmonton About the Course The Scaled Agile Framework (SAFe 4.5) is a methodology that is aimed at helping multi team, large scale projects and enterprises manage seamless transformation into an Agile framework for better performance. The Scaled Agile Framework certification in Edmonton by KnowledgeHut is an intensive instructor led course which is focused on getting participants to own the role of a Certified SAFe 4.5 Agilist, responsible for enabling team members to embrace a Lean-Agile framework. The Scaled Agile Framework training in Edmonton is a 2 day e-learning experience that gives you the knowledge to work towards the required SAFe 4.5 certification which is awarded after successfully completing an exam. The Scaled Agile Framework certification in Edmonton will begin with an intro to the Scaled Agile Framework and participants will be taught the fundamental Lean and Agile values. Course trainers will then guide students through the SAFe 4.5 principles and with further progress of the online classes there will be lessons on implementing Agile Release Train and PI Planning. As the online program moves into the second half, you will learn about executing and releasing value and there will be lessons on how to build an Agile portfolio. As the training reaches the end, you will learn about leading a Lean-Agile Enterprise. The KnowledgeHut Advantage Some of the multiple benefits of completing the Leading SAFe 4.5 certification training in Edmonton include the knowledge to execute and track Agile implementation in an enterprise. You will also learn how to promote the use of SAFe 4.5. This workshop will also include exclusive and impactful course material authored by the Scaled Academy. At the end of this training participants will be very well placed to crack the important SAFe 4.5 Agilist certification exam. KnowledgeHut blends an interactive live classroom atmosphere with a convenient learning platform. The price of the Leading SAFe 4.5 online course also includes the fee for the SAFe 4.5 Agilist exam and participants also receive a one year membership with Scaled Agile. 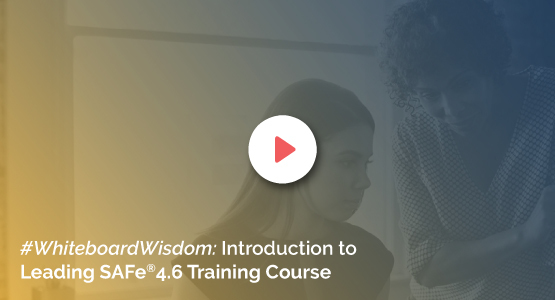 This course is perfect for executives, change agents (coaches), development/QA/program managers and other professionals who are part of a SAFe 4.5 rollout.